When considering how to add value that will differentiate your PMS from the rest, consider that 74% of hoteliers expect a PMS to help them with performance reporting and business intelligence (Starfleet Research & Oracle). Further, the more visually appealing and accessible it is, the better. And what is currently missing for many hotels is a reporting platform that integrates all the moving technology pieces—the standard PMS performance data like RevPAR and occupancy along with industry benchmarking data, pricing strategy, website analytics, review data, and social media performance. 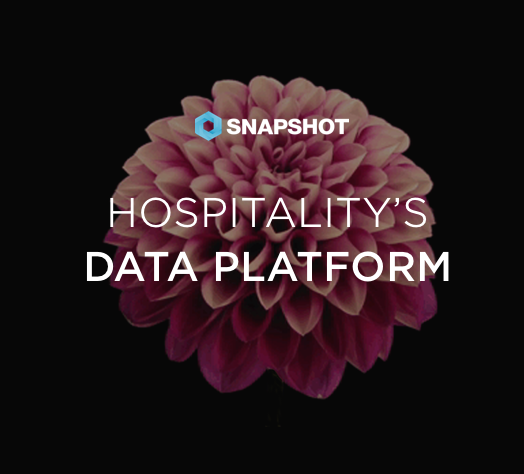 A platform like Snapshot Analytics, which provides metrics like these in one dashboard can be easily and quickly integrated with a PMS to provide free and immediate access to hotels, both individual as well as multi-property. If you’re wondering if one value-add will matter, we say not just “yes” but also consider it far more than one value-add, because the ends such a platform serves are multiple. For instance, the ever-elusive goal of data integration. Skift positions data interpretation as one of the ten most important trends of 2017. In order to properly interpret data, it must first be integrated. Hotels are bogged down with multiple systems delivering information in disparate ways, and they require a framework that allows data to be seen and evaluated as a whole. When the data shows the organization as one whole ecosystem instead of many interconnected but separate pieces (i.e., web analytics in one place and distribution channel data in another and occupancy/RevPAR in yet another), hoteliers can see that when something happens in one area, it has an effect in another. This makes for better decisions. An ecosystem such as this has one point of entry rather than 20 different log-ins. It is a place where hoteliers can more easily make sense of key data that influences revenue management decisions, key distribution strategies, and customer relationship information because the ecosystem gives it context and makes it instantly more usable. A single data platform also offers a big assist in the effort to drive more profitable bookings. For instance, a number of researchers have argued that travel reviews are directly tied to revenue opportunities. In a 2016 research study, Cornell’s Chris Anderson found that “showing travelers you are listening by responding to reviews (particularly negative reviews) has a favor- able effect on review scores and revenue” (Hotel Performance Impact of Socially Engaging with Consumers, May 2016). However, in order to have a positive effect on rates, hotels must have a clear understanding of which rates are competitive, which rates are driving business, and which rates are driving profits. The Snapshot dashboard shows hotels exactly what rates are driving the highest volume of room nights along with information about the ADR associated with that rate. The long and short is that a hotel can see right away if too much business is coming from OTAs and strategize direct offers that are more appealing. And doesn’t it help if you can see readily what your competitors are up to and how travelers are responding to your property? With review data and rate data side by side along with PMS performance data, hotels are able to create more robust strategies for driving profitable bookings. 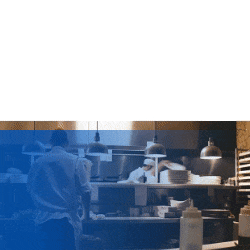 As Menka Uttamchandani, Denihan Hospitality’s VP of Business Intelligence notes, ”Every company has massive amounts of data – it is what one does with that data – such as providing relevant dashboards, click through deep dive actionable reporting and analytical insight that can foster a competitive edge” (Forbes). Hoteliers are desperate for a clearer understanding of the moving pieces and how they align or misalign because every single one has an impact on revenue in some way. As the central hotel system, it makes sense that they will be looking to their PMS provider for guidance here, and those that provide it will find a competitive edge. PS - SnapShot is already working with more than 40 PMS partners. Want to join them? Learn more here!